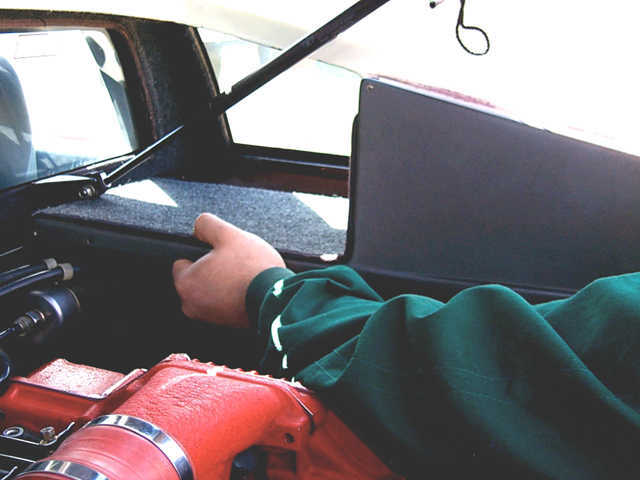 Upgrading the Mem-Cal on the Esprit ECM to the latest software version is one of the ways to improve performance, smooth the idle, and reduce stalling. If you ever decide to upgrade yours, both Lotus Cars USA and Sanj have upgrade programs for a small fee. To upgrade the software, you must first remove the ECM which sits on top of the right hand fuel tank and extract the Mem-Cal cartridge from it. Here's how to remove the ECM from an Esprit SE or S4, and the Mem-Cal from the ECM. Before starting the ECM removal, disconnect the negative battery lead from the battery. Remove the engine cover, then remove the six screws securing the carpeted trim panel from the right side of the engine bay. Some cars may be missing one or more screws. 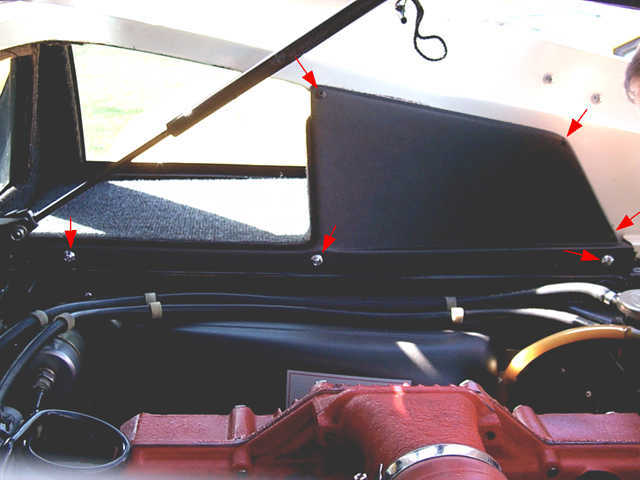 Carefully remove the trim panel by pulling it sideways then lifting slightly upwards. 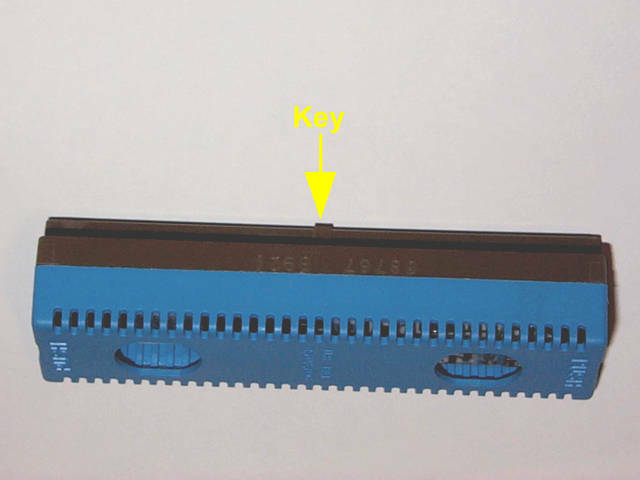 Locate the two nuts, each securing one side of the ECM to its bracket (yellow arrow). Loosen, but do not remove the nuts from their studs. 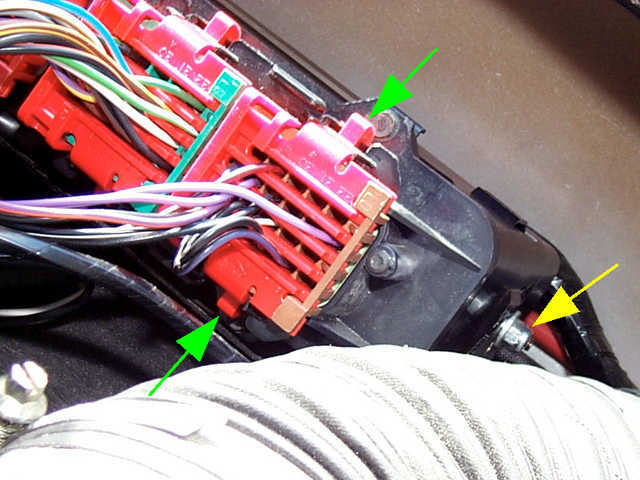 If the ECM is to be removed from the car, squeeze the connectors as indicated by the green arrows and wiggle all four of the connectors free. Lift the ECM upwards to remove it. Locate the access panel on the bottom of the ECM and remove the four screws using a 1/4" nutdriver. If the ECM has never been serviced, there will be one or two pieces of anti-tamper tape along the edges. Slit at least one piece to gain access. 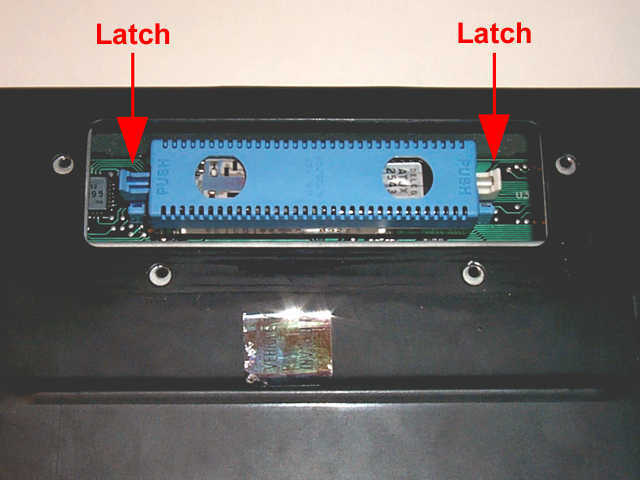 As the latches move outwards, the memcal will pop out of its socket. 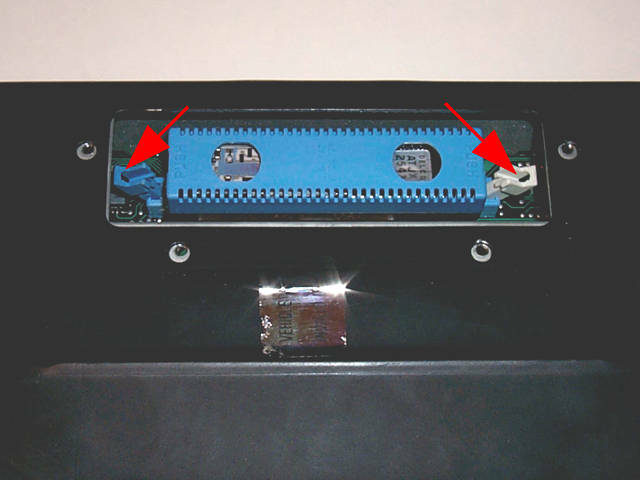 When reinstalling the memcal, note the small bump, or key, along one edge of the socket. 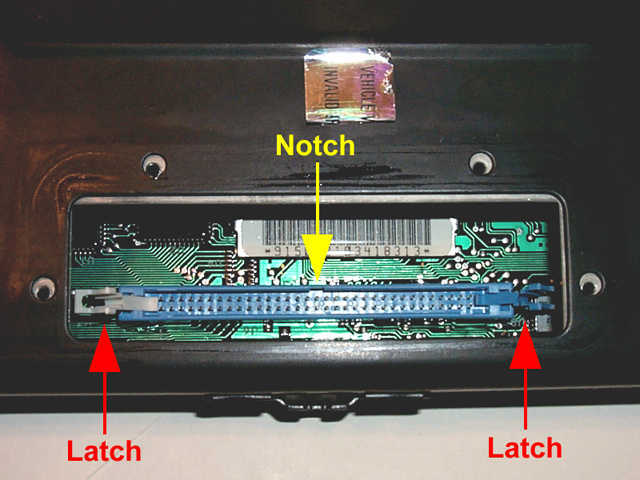 Locate the corresponding notch in the socket. Carefully position the memcal above the socket and guide it into position. Push down firmly and evenly until the latches click into place. Reinstall the access panel and its four screws. Reinstall the ECM into the car, being careful not to dislodge the mounting studs/nuts. The flat washers should be fitted between the mounting bracket and the nuts. 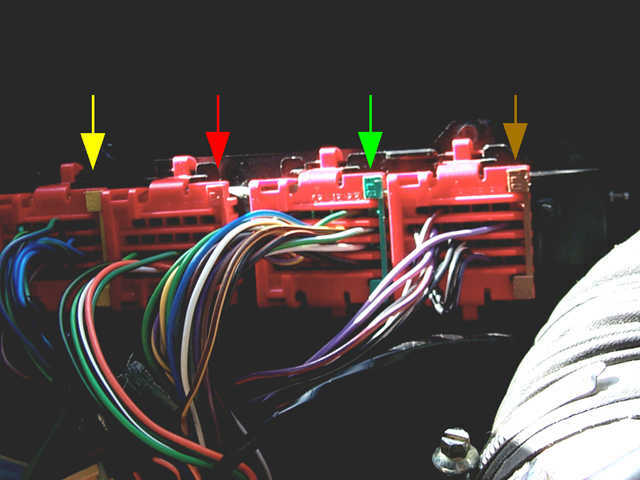 Reconnect the four plugs, noting that they are color coded as shown above. Carefully reinstall the trim panel, being sure not to tighten any of the screws until all of them have been started. Reconnect the battery.